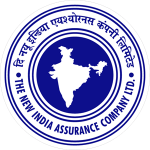 NIACL AO Recruitment 2018 Notification– The New India Assurance Company Ltd has issued a recruitment notification for the posts of Administrative Officers with a number of 312 vacancies. The posts are further divided into Generalists and Specialists posts which need to be filled by talented individuals. The official website where you will find all the required details of the recruitment is www.newindia.co.in. But, on this page, you will find all the details of the vacancy of this NIACL Job in depth. The details include NIACL AO eligibility details, pay scale, and more! Furthermore, candidates can apply online on the official application form till the last date to apply online. The end date of the online application is 26th December 2018. The online application begins on the 10th December which means that the candidates can now officially start applying for this NIA Vacancy 2018-19. This recruitment will be an amazing opportunity for all the candidates who aspire to hold such a prestigious position in this branch of the govt of India. So, without further ado, we have given the basic details of the New India Assurance Corporation Ltd. Administrative Officer Recruitment. Others will be as per govt regulations. Administrative Officer Educational Requirements Generalist A graduate/post graduate in any discipline from a recognized Govt University with a minimum of 60% marks in either of the degree examination for General candidates and at least 55% marks for SC/ST/PWD candidates. 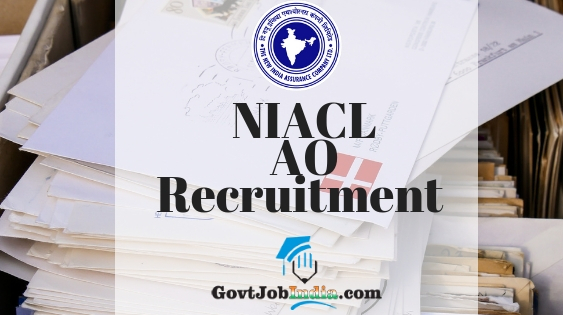 How to Apply Offline for NIACL Administrative Officer Recruitment 2018 -19? Candidates can apply online for this recruitment by going to the official website. Some of the main steps which you need to go through before applying online are also enlisted down. 2. Candidates are also expected to have a valid email id before they even apply. 3. Go to the official website of the NIACL and follow the steps given below. 4. You will find the page “Click here for New Registration”. Visit the page and register yourself. 5. After successful registration, you can fill the application form and attach all the documents asked for in the PDF. Candidates will have to also attach their thumb impressions of both the thumbs. 6. Submit the application form and pay the application fee according to your category. 7. You will get an E-receipt for the payment of fees. Remember that this is proof that you applied for the recruitment and hence keep it safe. Thus in 7 easy steps, you will have filled and successfully applied for the NIACL AO Recruitment. The New India Assurance Co. Ltd., #87, M.G.Road, Fort, Mumbai 400 001. Degree certificate in support of educational qualification. Certificate in support of belonging to SC/ST & Hill areas or the format as prescribed in Appendix “C” & “D” circulated vide this Directorate letter No.E- 32017/3/06/Rec W 934 dated 25.052006. Plus two level of schooling (either through formal schooling for 12 years or through open school system) recognized by the Central/State Government for this purpose or its equivalent. Hope you liked this article about the NIACL AO Recruitment 2018 19. If you did, make sure to share it with all those who might be appearing for the recruitment and would like to know this information. Comment below if you have any difficulties in filling your form or have any doubts regarding the recruitment. Furthermore, make sure to check out the other pages which will be of use to you such as the NIACL Syllabus and Admit Card which we have already linked above. In addition, make sure to bookmark this page and subscribe to our website @ GovtJobIndia.com for latest govt jobs across the country.